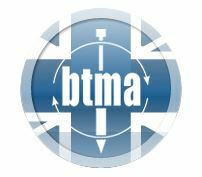 The BTMA is the trade association for precision turned parts and machined components manufacturers, our main aim is to provide an effective website experience for you, the user - we achieve this by providing efficient and accurate information about all of our members and our association through a straightforward means of navigation. Our website provides you with detailed information on our member’s capabilities and activities with links through to each member’s own website. You can also learn much more about the aims and activities of the BTMA itself. Designed for both the manufacturer and the supplier, our website features a comprehensive database of manufacturer’s where buyers can find the best suppliers for their component requirements. Frequently visited by buyers looking for solutions, the BTMA website is the best online resource for British Turned Parts Manufacturers. If you are interested in becoming a member of the British Turned Parts Manufacturers Association, please visit our website now and click on the ‘Join The BTMA’ section where you can request membership details. If you are looking for current members to source your components from, please visit the members section on the BTMA website – along with information on all of our members you can also perform searches with specific guidelines such as material, location, quality accreditations and much more.